A very good rock album by a band who obviously know what they're doing. Here's an interesting new band that should appeal to fans of The Cult, Foo Fighters and the Red Hot Chili Peppers. The six-piece Slam Cartel peddle gritty rock and roll with grating triple guitars from Tommy Hendriksen, Terence Warville and Adam Lee (who also doubles on keys), a thundering rhythm section of Marc Naudeck (bass) and Steve Campkin (drums), and a singer with a great voice and genuine charisma in Giles Van Lane. They've been together for just three years and this is their debut album, but as I popped the album on my iPod and listened to it at work without reading the press blurb, I was expecting them to be from New York, Seattle or L.A. – they're actually from London. 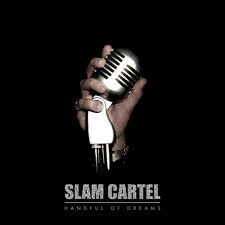 Slam Cartel are an eclectic bunch who are influenced by the bands above, as evidenced by the guitar-driven opener 'Wishing Eye', which is a commercial Foo Fighters-type tune, the funky 'Hold Me' and 'Free Again' have a Chili's vibe, and there's no mistaking the Astbury drawl on the rocking title track and the moody 'Sundown', however that's just part of the story. Everything else on the album has a unique style, from the pop/punk of 'Mismatched Ties' to the Floyd-ish acoustics and melodies of 'Maybe Sometimes', and all work equally well with just the rap on 'Shine' not really suiting the band. The real highs are when they cut back on the distorted guitars and Van Lane really sings in a rich baritone, like on the superbly melodic 'Breathe' and the nicely arranged ballad 'Walk A Mile' that closes the album. The best track is the extremely catchy 'Goldenstream', but their version of the Talking Heads' 'Once In A Lifetime' is great too. As debut albums go this is quite a corker, although the variety on offer probably means that less eclectically oriented listeners will prefer some styles more than others. I'm sure the band won't mind being hard to pigeonhole, so suffice to say that 'Handful Of Dreams' is just a very good rock album by a band who obviously know what they're doing.